It sounds like macaron diehards are wishing they could undo the out-of-control popularity of their favourite treat – if this article in today’s Wall Street Journal is anything to go by, anyway. There’s always something compelling about a foodfight – and this one especially, when fans are so fired up about seeing an artisan pastry become factory-produced, frozen and then dispatched to McDonald’s to be sold. Even though the article focuses on the U.S. and French affair with the sweet, I guess some people here might draw parallels with the macaron hype that followed Australian Masterchef last year. Certainly, it made it tough to go to Adriano Zumbo at times, especially when you lined up with the one-track obsession of getting a box of Salted Popcorn Macarons, only to get to the front and find basically crumbs left. On the upside, it meant almost every patisserie had a colour-deck of ganache-filled treats in its window. One easy and queue-free place I often get macarons is St Germain Patisserie in Redfern. The range is small, but I find it hard to pass up the Mango, Raspberry and Peanut Butter flavours. And the price is a bargain (six for $9, at last check). 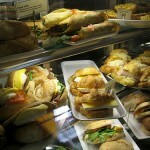 Who needs Maccas, really? I had my first macaroon last week, a coconut one. Addicted. So good. I am not a sweet tooth, but really liked it. Also find myself adding vanilla Turkish Delight into the shopping basket and craving making marshmallow, again with toasted coconut. lee tran, katie, I have a confession to make: I do not like macarons. Pia, I’d never subject you to macaron peer pressure! 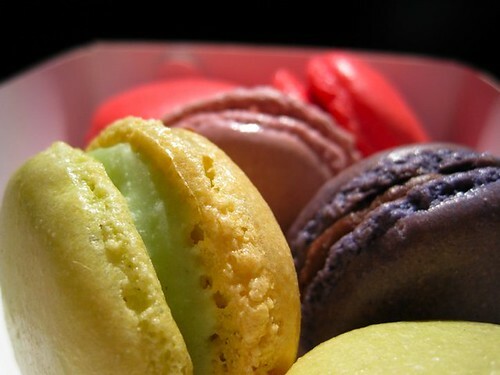 And of course, there’s no law saying that everyone has to like macarons. That said, I accept your challenge, Pia, and next time you’re in Sydney, we may have to splurge on a box-full at Adriano Zumbo just to be 100% certain about your macaron feelings! i hear ya. adriano zumbo, here we come! Well, in another 10 months or so that is. 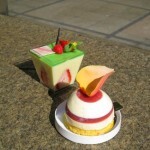 Arhh no – don’t reveal my secret macaron place (St Germain’s) cuz now everyone’s going to go there! Is it really sad I’ve never had a Zumbo macaron? Yes/no? Margaret, so sorry to tip off your secret! I guess maybe the plus-side of St Germain being a little tucked away is that it (hopefully?) can’t get overrun by massive queues? And no, not sad about Zumbo. There’s lots of places everyone’s not gotten around to. I’ve still not been to the Lindt Choc Cafe. 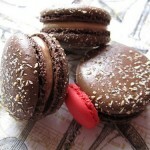 Good gracious Macaron’s at Macca’s? I thought it was bad enough when Starbucks started selling them last year. I am not going to lie, I can be a food snob to treats that i LOVE. I haven’t had a Macaron since Fauchon left New York, because, well, I doubt if anyone can match the tender, crunchy, smooth centered, rich flavoured goodness that I would pick up from there on a bad day. It took less than ten seconds to eat but I would drag it out to a couple of minutes, bite by tiny bite. Hands down those were some of my best gastro-minutes of my life. Macca’s? No. I would sign a petition if there was one..Granted I am going on preconceived ideas, but I doubt if they could replicate the quality to do such a treat justice. thanks for this. my last macaroon was from laduree, paris but redfern is way closer! I’ve just discovered your blog. Wanted to say hi. Your photos and descriptions are awesome. It’s almost like eating!!! 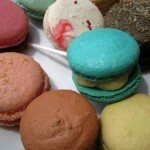 Thanks Craven Maven for your very passionate comments on macaron standards! 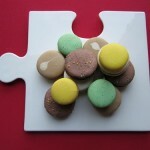 Glad you could find a closer macaron-source, Leanne. And Benny, you are ultra-kind – how nice to get such feedback from the other side of the world! went to st germain’s to try the macarons there today, and unfortunately i found them a bit disappointing…maybe it was because i came in the afternoon and they had been sitting on the counter all day, but they were very crunchy and not soft and gooey on the inside! will definitely give them another go though.